Founded by Mark Moussa in 1987, Arteriors is a Dallas-based home furnishings wholesaler specializing in lighting, wall décor, decorative accessories and furniture. The company collaborates with experienced artisans and manufacturers around the world that work in leather, iron, brass, bronze, nickel, wood, glass, ceramic, and porcelain. Lighting Etc. 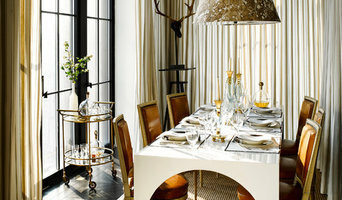 is a Third Generation, Faith Based, Decorative Wholesale Lighting and Design Showroom. When it comes to decorating your home Lighting Etc. believes in taking a unique approach. From your front door to your back door, and every room in between, Lighting etc. will fill your home with timeless elegance and bring your decor to light. 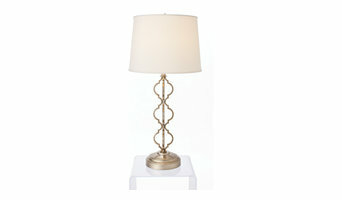 Modern Lantern is the premier online retailer of cordless, rechargeable table lamps. Decorative lamps that are battery operated that can go anywhere in (our outside) your home or business, regardless of plugs or outlets. Our mission: Emergy delivers the highest quality lighting to homes across Texas. We provide LED retrofits to brighten a kitchen, freshen your home, or liven up any slightly dim or dark area of your home. We also perform outdoor lighting installation and maintenance. We believe in earning lifetime customers and strive to provide the highest service. DALLAS BASED CUSTOM LIGHTING DESIGNER, MANUFACTURER, AND INSTALLATION TEAM 2C Custom Lighting is built upon the foundation of over 15 years in lighting design and over 36,000 hours in lighting design, manufacturing, and installation business. 2C Custom Lighting is the dream of Robert Owens and Josh Allison. Together Robert and Josh have brought revolutionary change to the lighting industry by bringing some of the most elegant and most efficient LED lighting systems to market and designing some the most popular commercial and residential installations. 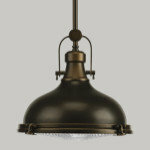 2C Custom Lighting understands that each of our clients have a unique taste and design vision. During your first reservation with one of our designers we ask you the questions to figure out what you like and how you would like it to look. We then work diligently to design an illumination system tailored for you. Robert Owens and Josh Allison have engineered and built over 600 LED lighting systems since 2005. Their combined expertise means that you will get the high quality LED lighting that you deserve with the confidence that it will last as long as promised. 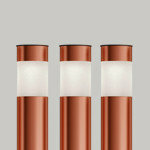 It is very easy for anyone to simply purchase LED lights and then install them. The problem with this is that most often they are unaware of the problems that can arise by even the simplest of manufacturing errors. Solara Doors & Lighting, Leading Manufacturers of custom lighting, architectural doors & windows. From contemporary to traditional, the inclusion of wrought iron architectural accents throughout glass and iron doors and lighting seems to blend and heighten any architectural style. Solara Doors & Lighting’s showcase of iron entrance doors & lighting fixtures is extensive—encompassing accents, ornaments, iron doors, and wrought iron lighting from the most simple to the elaborately ornate. Every one of Solara's products combine traditional handcrafted workmanship, modern technology, and style. This combination of premium durability with new technology ensures that our lighting fixtures and architectural doors becomes a valuable luxury investment in your next project. Our sales representatives and artisans have earned a reputation for having a few design tricks up their sleeves and never fail to deliver when it comes to choosing the perfect architectural iron décor for your residential or commercial project. Explore our wrought iron lighting showcase and our iron entry doors and you will see why home owners, architects, Luxe Magazine, Designer Magazine, and builders nationwide choose us to bring to life their artistic dreams for their architectural projects. 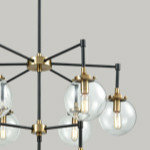 Alan Mizrahi Lighting is contemporary chandelier brand, which is re-defining the nature of crystal chandeliers. Already experienced chandelier designers for other companies when they set up by Alan Mizrahi Lighting together in New York and Dallas market in 1989 to explore the contemporary potential of crystal chandeliers. Their knowledge of technical issues is considered not only world-class, but also probably unmatched, and with Alan Mizrahi Lighting they have developed an aesthetic, which has brought them to the attention of a deeply fashionable Design crowd. Alan Mizrahi Lighting have entirely re-invented how crystal can be used, stripping back the old idea of an overburdened chandelier to it's essentials, and bringing a fresh, airy, contemporary quality to classic materials. Meletio Lighting & Electrical Supply is a complete wholesale and retail lighting showroom that is a family owned and operated business for more than 92 years. Our inventory and accessibility to hundreds of product lines includes exquisite crystal chandeliers and rustic iron chandeliers as well as contemporary fixtures. 13 years as a Lighting Designer/Counsultant, LED Specialist, Low-Voltage Systems Specialist. Scent Savvy Electric Luminé Fragrancers are handcrafted, stoneware Fragrancers that are perfect for entertaining, gifting, and as a flameless alternative to scented candles. Electric Luminé Fragrancers quickly and safely fragrance any size home, spa, office, college dorm or work area. A vintage-style bulb In each Fragrancer casts a rich, golden glow that highlights the exquisite color and detailing of each design. Used with or without fragrance, these beautiful decorator pieces add style and ambiance to any setting. More than just a pretty exterior, the powerful Scentercore in each Fragrancer is designed for exceptional fragrance performance. Instead of using a light bulb to create heat, our Scentercore heats instantly from within to quickly fragrance any large or small area. For best results, use with our richly formulated Scent-In Gelée Fragrances, or use with your favorite wax melts and fragrance oils. Scent-In Gelée Fine Fragrances are available separately. Out of the Woodwork Designs is a small business focused on unique lighting, home decor, and providing exceptional customer service. Your project is our project! What can we help you create? With over 10-year experiences, LEDFactory100 is committed to providing the highest quality LED strip lights, power supply, and outstanding services. A well-lit home is essential for both functional and aesthetic reasons. Lighting designers will analyze your Carrollton, TX home's layout, structure and needs to create an effective lighting plan throughout your home. Though electrical engineers or interior designers can take on the task of outfitting your home with the appropriate lighting, a professional Carrollton lighting designer explores lighting as a technique. Think about how you plan to use each area of your Carrollton, TX home. It's important to communicate to your Texas lighting designer which space will be used as an office and which will be a media room, for example, as these will require very different lighting methods. In addition, consider how you'd prefer to control the lights. Lighting technology today includes dimmers, sensors, photocells (that let lights react to the amount of daylight in a space), programmable scene controls (that let you program different settings for varied lighting) and whole-house lighting controls (that let you control all or a portion of your home's lights from one source), allowing you to tailor your lighting controls however you wish. Find a lighting designer on Houzz. 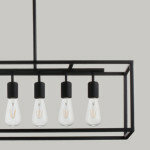 Narrow your search in the Professionals section of the website to Carrollton, TX lighting designer. 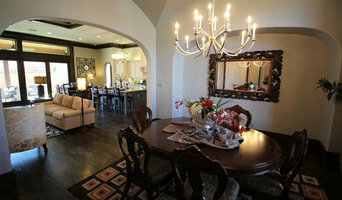 You can also look through Carrollton, TX photos by style to find a lighting design you like, then contact the designer.